The open world one player action/role-playing game Fallout 4 continues the long running game series and is the first installment released since 2008’s Fallout 3. Set in the distant future in Boston, Massachusetts (a.k.a. The Commonwealth) after a post-apocalyptic event that’s 210 years after a nuclear war, Fallout 4 presents a well varied mix of gameplay as a family experiences an age of nuclear war threat, the unfortunate reality of that threat and surviving the aftermath. This wide range hurts the visual appeal, but this game excels in the controls, objectives, mechanics, open world exploration, music, weapons, tactics, dark humor, and story. It’s a gaming experience that takes considerable time and effort over time, but short sessions are still possible thanks to easy save options. All the activities work towards character experience system into categories of strength, perception, endurance, charisma, intelligence, agility and luck (a.k.a. S.P.E.C.I.A.L. ), which allow new abilities. The nonlinear gameplay also include companions, and item gathering then construction then full communities (AI occupied). Freedom is normal as players can immediately go anywhere on the map and leave conversations at any time. Content is king in this larger world (than Fallout 3). Players use a camera that can switch between a first-person and third-person perspective as a male or female character (from the couple that heads the family) voice by Brian T. Delaney and Courtenay Taylor. Their dialogue choices are somewhat limited and they can also get 13 possible companions (only one allowed at a time) that can be occasionally hard to manage, but provide helpful services and can overtake some tedious tasks. Other characters besides companions also tag along with the main characters as they complete quests and move through certain environments. Characters grow at a decent rate while the story builds beyond simple survival and situational combat into revitalization and beyond. The tactics expand as spouses pick sides and use other methods including the Vault-Tec Assisted Targeting System (V.A.T.S.) that slows time to more efficiently defeat enemies. An appealing extra that accentuates the action, which has strong overall visual appeal. The big roach creatures near the beginning were a surprise and seemed like a step backwards in the movements and visuals. The facial animation and combat was a bit awkward at times too, but the activities were deep and truly amazing with great details ranging from building traps to sustainable eco-systems (water supply, etc.). Item collecting is a huge part of the game as the in-depth crafting system utilizes every lootable objects in the game for even more possible combinations. The main gadget is the Pip-Boy, a computerized wristwatch, giving players helpful maps, item organization, and even fun distractions. Music ranges from Ella Fitzgerald to The Ink Spots while the overall music score keeps a thrilling tone in the game. The voice work is very good while the sound effects could have been expanded. 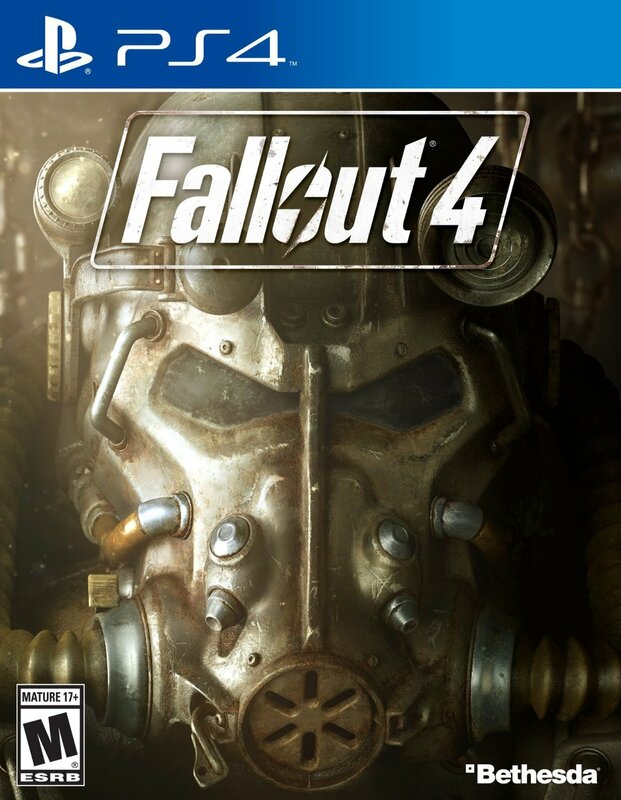 Developed by Bethesda Game Studios and published by Bethesda Softworks, Fallout 4 offers a highly recommended (***1/2 out of four stars) gaming experience with a high replay value. The fact that the story that does not end even after the main narrative does is yet another bonus among the endless possibilities. Definitely enough to tide players over until the next installment. Also available on PC and Xbox One. This entry was posted in Video Game Reviews and tagged Fallout, Fallout 4, Michael Siebenaler, Mike Siebenaler, Tall Writer, video games. Bookmark the permalink.